​Are you confident in your student's math education? 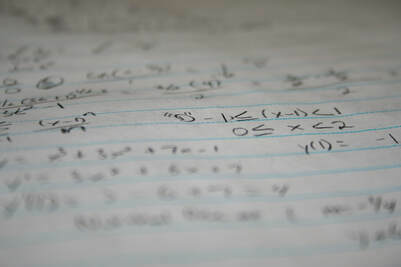 ​I love mathematics. I love puzzling over a good word problem. I love to work through a really long and complicated abstract math problem only to end up with a beautiful, concise answer. I realize that not every child will truly love mathematics, but I also firmly believe that students sometimes are not being taught in a way that encourages them to see the beauty of math. They are not being taught to think mathematically. Often in math curriculum, students are given a problem and are taught the steps required to solve the problem. When another problem of that type is seen in a later problem set, the student simply has to recall the way to solve that type of problem. Students are not challenged to think in a mathematical way to come up with a solution for a unique problem. As homeschoolers, we are somewhat limited by the availability of secondary math education options. Some students work well with a self-paced video course, but many students need more interaction with an instructor. Many locations have classes for homeschoolers, but math cannot be accomplished in a one-time-a-week class and the drive time can be prohibitive. Thereby we hope to develop mathematical thinkers who, when challenged with unique problems in any aspect of their lives, will be able to apply the problem solving skills learned in math classes to make well thought-out decisions. Yes, I really believe that what you learn in abstract math classes will be a huge benefit to you for the rest of your life - even if you never solve another quadratic equation as long as you live! The thinking skills that you learn will benefit you forever. As homeschool parents, we teach many subjects to our children. But the difference in being able to DO a problem and being able to pass on a love for the beauty of math are very different things. If you are struggling with your student's math education, please consider this online class option. I believe that we can help your child to gain success in his/her math education.